Good powder paint application requires optimal conditions. In fact, ensuring clean, pressurized air during application is the second most important element in successful powder coating, next to proper pretreatment. Tomcor's climate-controlled, environmental clean room is designed for appliance grade results and provides the dirt-free, trouble-free atmosphere necessary for a high quality finish. Humidity and temperature controlled to prevent condensation and ensure your product remains as contaminant-free as possible during application. Houses our powerfully efficient paint booth, featuring fully automated powder recapture capabilities to reduce waste and prevent color cross-contamination. Equipped with 22 automatic spray guns that deliver consistency, and 2 manual guns for additional detail work. Prime and top coat in a single pass process. "Ideal air quality equals optimal results. 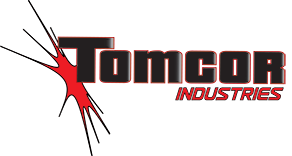 Tomcor's environmental room achieves both."